JGI is a leading HCM consulting firm. For over 30 years. Lightspeed is a trusted global partner for digital data collection. We are on a mission to help clients discover the truth through data. Tri-Power Consulting Services is a client-focused, multi-disciplinary engineering consulting firm that provides mechanical and environmental engineering services and information management solutions. Gibbons P.C. is a large U.S. law firm with 177 lawyers in offices across four states including in New York, Philadelphia and Newark. Fortune (magazine) has selected Gibbons P.C. 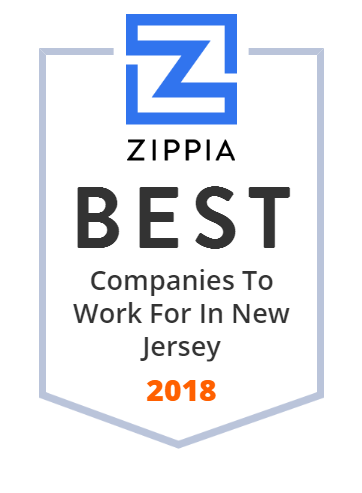 as one of the best workplaces for consulting & professional services in the United States ranking 14th and being the only law firm on the list. In the Vault.com's review the firm ranks 3rd for "Best Law Firms for Integration of Laterals/Clerks", 10th and 11th for “Best Law Firms to Work For” in the categories working hours and pro bono work, 10th for 'Best Law Firms for Women' and 28th for 'Best Law Firms in the Mid-Atlantic'. The 2018 edition of the Chambers USA Guide to America's Leading Lawyers for Business features ten Gibbons P.C. practice areas and 25 individual Gibbons attorneys. Trigyn Technologies is an IT service provider offering IT solutions, consulting, staffing, software development, systems integration, and maintenance services to customers worldwide. For more than 30 years, Trigyn has been providing smart solutions and smart utilities for small enterprises and large corporations. The company has over 1,500 resources deployed across locations in the United States, Canada, Europe, Africa, India, and the Far East. McCarter & English, LLP, is an American full-service law firm headquartered in Newark, New Jersey. Founded in 1845, it is one of the oldest law firms in the United States. Besides its Newark headquarters, the firm has offices across the Northeastern United States in Boston, Hartford, Stamford, New York City, East Brunswick, Philadelphia, Wilmington, and Washington, D.C. Devoted to leveraging technology to improve healthcare and provide new beginnings for our clients, through innovative service models and fresh approaches. Cooper Levenson's attorneys are highly experienced in numerous areas of law, including iGaming/Casino Law. Call our Atlantic City office at 609-344-3161. Maser Consulting is a privately owned, multidiscipline engineering and consulting design firm, headquartered in Monmouth County, NJ, with a unique balance of public and private sector experience. Let's talk about your next project! Paramus Catholic High School is a co-educational Roman Catholic high school located in Paramus in Bergen County, New Jersey, United States. DIVERSANT is a diversity-based, MBE IT Staffing Agency. We provide IT staffing solutions, MBE training, and veterans program. Find a job, or hire us today! GLI provides world-class testing, certification, and professional services to the global gaming industry. The company was founded with a purpose to ensure the integrity of the gaming industry and has been committed to serving gaming regulators, suppliers, and operators in jurisdictions all over the world for nearly 30 years now. GLI offers a range of quality services including consultation, auditing, field inspections, and project management. Delaware Valley Regional High School is a regional, four-year public high school and school district, that serves students in western Hunterdon County, New Jersey, United States. For more than 100 years, Moretrench has been serving the underground construction needs of the civil, environmental and industrial market sectors. David Hirschman Realty Co., Inc. is your competent real estate agency in Paramus. We support your rental, sale and purchase of apartments, houses and property of all types. A full service New Jersey business and local government law firm providing comprehensive legal services in a broad range of practice areas for more than 100 years. Colorful dance recital and competition costumes that inspire and perform since 1959. We promise fresh designs, speedy delivery and consistent fit. McElroy, Deutsch, Mulvaney & Carpenter, LLP is a diverse practice that places the client first. MDMC has developed a national reputation while maintaining focus on efficiency. Savoy is an innovative benefits consulting firm and general agency. Our strategic partnerships bring continued growth to brokers, carriers and vendors. Providing environmental consulting, engineering, compliance, and technical field services to clients in diverse market sectors. Sekisui America Corporation, through its subsidiaries, develops chemical solutions for customers in North America. It also manufactures and supplies polyvinyl alcohol products and specialty chemicals. In addition, the company offers polyolefin foam, thermoplastic sheets, PVB interlayer films, trenchless pipeline rehabilitation services, PVOH products, medical products, and exports and imports synthetic resin products. Sekisui America Corporation was founded in 1983 and is based in Secaucus, New Jersey. Sekisui America Corporation operates as a subsidiary of Sekisui Chemical Co., Ltd.
With 15+ years of experience delivering guidance and direction to IT professionals, Gotham is a professional & cost-effective solution to ensure the greatest productivity and success. Ridgefield Park High School is a six-year comprehensive community public high school that serves students in seventh through twelfth grade from Ridgefield Park, in Bergen County, New Jersey, United States, operating as the lone secondary school of the Ridgefield Park Public Schools. One of the leading Janitorial Services firm specializing in janitorial, mechanical, electrical, medical building services and more. We offer your services in Mid-Atlantic Region. Nutley High School is a four-year comprehensive public high school in the Township of Nutley, in Essex County, New Jersey, United States, serving students in ninth through twelfth grades as the lone secondary school of the Nutley Public Schools. The school's colors are maroon and gray. The school has been accredited by the Middle States Association of Colleges and Schools Commission on Secondary Schools since 1928. All students pursue an appropriate academic program to prepare for post-secondary education or for employment. For all your design and printing needs. Schibell & Mennie, LLC is responsive New Jersey Personal Injury Lawyer and car accident attorney, which serves in Howell, Oakhurst and all of NJ. ReGenerate management consultants, Mumbai India :specialises in enhancing managerial performance and developing managerial competencies. GAB Robins North America, Inc. provides risk management services and solutions for the property and casualty insurance market. It provides loss adjusting services, such as subsidence, foundation, business interruption, train wrecks, dam breaks, and agricultural claims; TPA services, including developing and implementing workers' compensation, general liability, and auto and property claims management programs; and managed care services. The company also provides general/auto liability, anti-fraud, claim resolution, account management, litigation management, catastrophe, property inspection, auto, and mold services. In addition, GAB Robins North America offers truck and heavy equipment; agri-business; and international aviation services, such as aviation hull and liability services. Further, the company provides marine and transportation services, including marine cargo, motor truck cargo, hull, P and I, terminal operators, marine general liability, contractor's equipment, heavy equipment, and oversize hauling services. GAB Robins North America, Inc. was formerly known as General Adjustment Bureau, Inc. and changed its name to GAB Robins North America, Inc. in 1995. The company was founded in 1932 and is based in Parsippany, New Jersey. GAB Robins North America, Inc. operates as a subsidiary of GAB Robins Group of Companies. Logical Design Solutions (LDS) is a management consultancy specializing in digital strategy & design for global organizations. Weichert Commercial Brokerage is a full service commercial real estate brokerage and consulting firm. Providing oil and gas industry engineering consulting, project management services and training. Manufacturer of industrial rubber and polyurethane belts, industrial hose and couplings. For nearly 70 years, Saiber has built a reputation for delivering innovative, creative, and cost effective solutions for a full-range of business and litigation matters. New Jersey based web design specializing in responsive design and Wordpress solutions. AA Electric is your single source for machine control and automation specialty electrical products. Quality Products. On-Time Delivery. Competitive Prices. We're more than a supplier. Since 1969, Wurth USA is the premier provider of Vendor Managed Inventory (VMI) solutions for the transportation maintenance and repair industry. Würth is a proud partner of Team Penske. Pleasantville High School is a comprehensive community public high school that serves students in ninth through twelfth grade from the City of Pleasantville, in Atlantic County, New Jersey, United States, operating as the lone secondary school of the Pleasantville Public Schools, an Abbott District.